The ability to experiment in a space and and receive feedback from future users is incredibly helpful in shaping neighborhoods and cities. 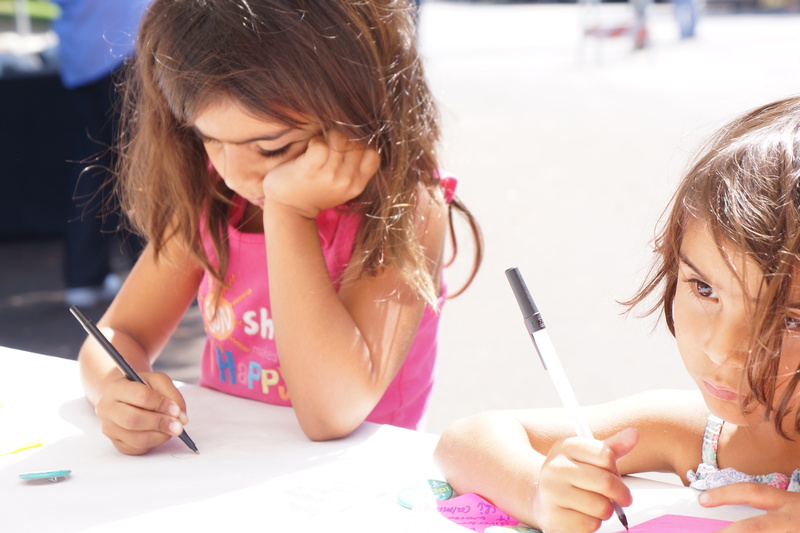 While public input normally comes in the form of community meetings or charrettes, LQC approaches can lead to more well-informed, community-driven design concepts through iterative, field-tested experiments. 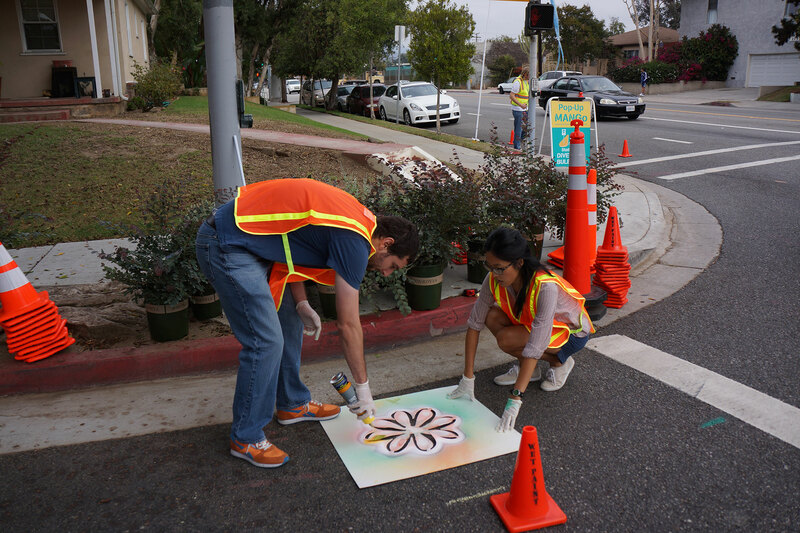 Such was the case for the development of the Michigan Avenue Neighborhood Greenway (MANGo) in Santa Monica. In 2013, urban planning and design firm, Meléndrez, was tasked with transforming a portion of Michigan Avenue into a more livable corridor through elements of traffic calming, landscaping, and amenities for pedestrians and cyclists. 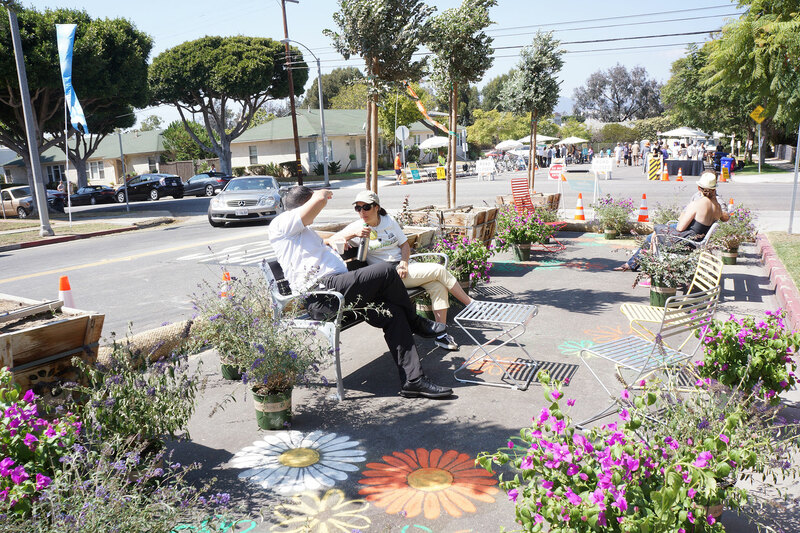 Along with a host of community participation workshops and meetings, the Meléndrez team hosted “Pop-Up MANGo”-- a temporary complete street festival where people from the neighborhood could interact with the potential roadway changes in a grassroots design process. 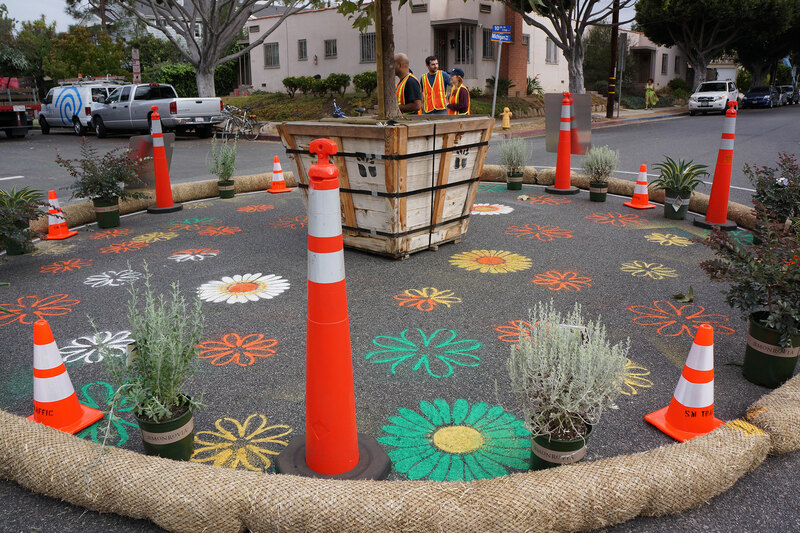 The pop-up installation included a temporary traffic circle known to lower the speeds of passing cars, a mini-park with planters and seating, live music, food trucks, and programming for children. 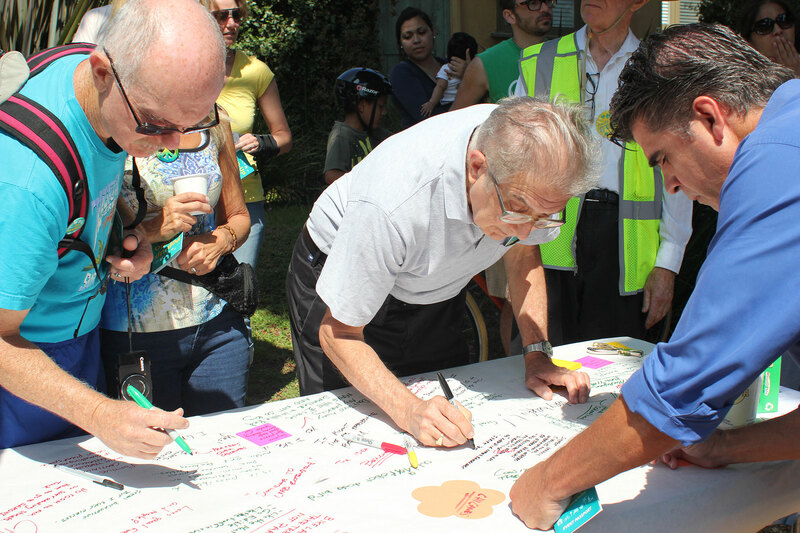 Several Meléndrez staff and community organizations attended the event to interact with the public and record their feedback. 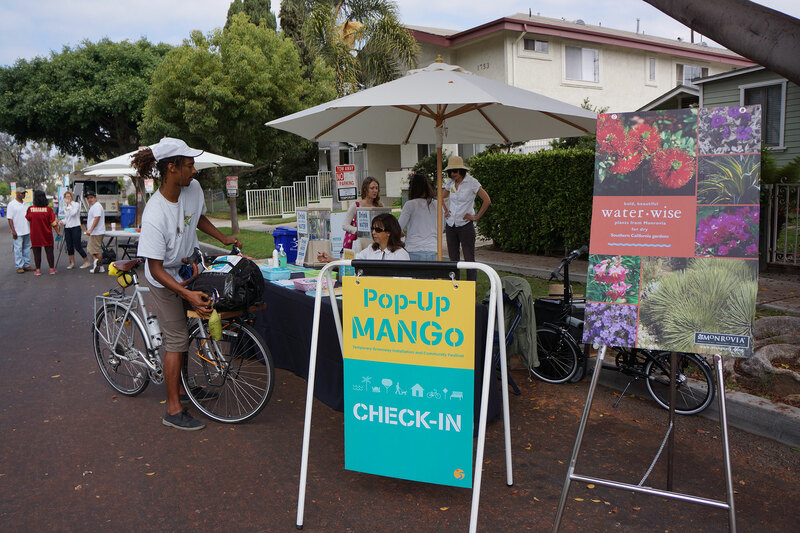 Pop-up MANGo saw the attendance of over 400 community members and became an integral part of Meléndrez’s final concepts and recommendations for the street. Ultimately, the installation afforded the firm an opportunity to test out various design strategies and find the best possible solution through a meaningful public participation process. from folks of all ages!